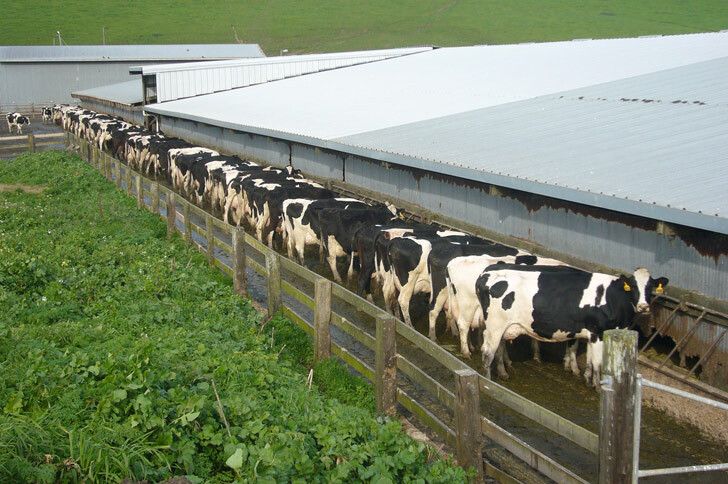 A California dairy cow recently tested positive for bovine spongiform encephalopathy (BSE), more commonly known as mad cow disease. While the news has resurrected fears about the illness, the United States Department of Agriculture has been quick to highlight that the cow, located in California’s Central Valley, was not tied to the food chain, and that humans are not at risk of contracting the human form, variant Creutzfeldt-Jakob disease, which causes rapid brain degeneration. This assurance has not prevented some South Korean retailers from halting sales of US beef into the country as memories of the massive UK outbreak in the early 1990s which claimed the lives of 180,000 cattle and over 150 people remain fresh in the consciousness of many. The is the fourth instance of Mad Cow Disease to have been discovered in US history. It was long believed that cattle were infected with BSE by eating feed that included spine and brain tissue of other cows who had consumed the meat of sheep infected with scrapie. But some scientists have since hypothesized that the disease may develop spontaneously in cattle. Federal officials believe that the recent instance in California was a indeed caused by an atypical genetic malformation, as CBS reported. “It was just a random mutation that can happen every once in a great while in an animal,” Bruce Akey, director of the New York State Veterinary Diagnostic Laboratory at Cornell University, told the AP. “Random mutations go on in nature all the time.” Federal officials further emphasized that the infected cow had not eaten contaminated feed. As South Korean retailers exhibit caution, the Washington Post reports that “South Korea said it will strengthen quarantine inspections of U.S. beef after the case.” Other countries which import US beef, including the UK, Canada and Japan have not announced any changes to their import of US beef, as many await confirmation of additional tests to be conducted by the United Nations’ Food and Agriculture Organization and the World Organisation for Animal Health. The US official stance is, that there was never any spongiform encephalitis in any animals in the US, when it broke out in the UK and herds got destroyed. The scientists who went to New Zealand to learn what was killing natives, learned the true horrors of the disease. The bottom line was, there is no known way to kill it or stop it, except avoidance. AND, that the meat industry slaughters animals too young to really know if they are infected. AND, that spongiform encephalitis has been in the USA for many decades, evidenced by things like old news clippings from the 1930’s, of herds of sheep infected with Scrappie, being buried on the back 40, etc. It is found in far more animals than just cows or sheep. It is even being found in wild herds of deer and elk, that unfortunately have been fed bait feeds by those wanting to capture/kill them easier. NONE are looking at other animals to see if it infects, say, chickens or turkeys, which are fed ground up dead same-species animals. OR any other animals that get fed same-species waste-parts. Feeding dead creatures back to ones’ herds used to be considered “good animal husbandry practices--not wasting anything”. That is wrong. But we STILL do not know where it came from or what really causes it. The so-called infective organism may not actually be the entire, real culprit. It used to be thought that spongiform encephalitis was a rare thing; it infected certain people from certain sects of Jewish descent, for instance. Until they discovered the staggering, falling natives in New Zealand. Suddenly, it was being recognized more often, and in diverse populations. Governments and food industries got scared, started pointing fingers, and making denials. It causes holes in the brain, kinda like swiss cheese. It causes neurological incoordination, til finally the creature cannot stand or do anything for itself. It can take decades to manifest, depending on the amount of exposure. It is not destroyed by fire, ice, chemicals, or any combo of those. The only way to stop it, is to stop eating infected animals; make sure that IF one eats animals, they are old enough to have started manifesting symptoms to warn us off. One of my old teachers died of it back in the 1970’s. Another lady who never traveled to England, died of it in Contra Costa County, CA, in the early 1990’s--those are 2 who I personally know of; if I know of 2, there are others--it’s a big country. With all that in mind, is it any wonder the food industry has been working overtime to make fake foods tolerable for the masses? Question is, what are they using [pink slime, etc. ], and how do we know those base-ingredients are not "infected", as well? Welcome to the world of “Soylent Green”?? A California dairy cow recently tested positive for bovine spongiform encephalopathy (BSE), more commonly known as mad cow disease. While the news has resurrected fears about the illness, the United States Department of Agriculture has been quick to highlight that the cow, located in California's Central Valley, was not tied to the food chain, and that humans are not at risk of contracting the human form, variant Creutzfeldt-Jakob disease, which causes rapid brain degeneration. 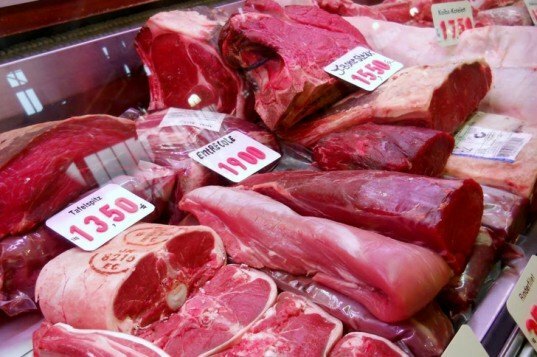 This assurance has not prevented some South Korean retailers from halting sales of US beef into the country as memories of the massive UK outbreak in the early 1990s which claimed the lives of 180,000 cattle and over 150 people remain fresh in the consciousness of many.